The new Thermal Orange Pearl NSX is officially here, turning heads at hyper speeds. Each NSX is individually painted and hand-finished. 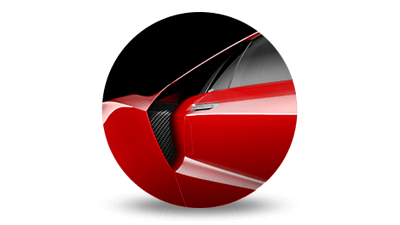 The entire paint process occurs in-house over the course of more than 20 hours per car. That feeling of emotional connectedness reflects both the power of dreams and driven creativity that fuels the craft of engineering. 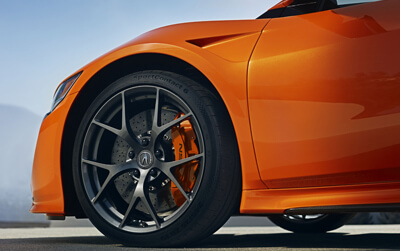 Reignited in a new generation of engineers, that connection brought forth a new vision: to honor the car’s lineage by creating a boldly evolved NSX for a new century. 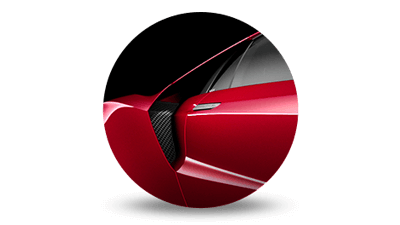 With Precision Crafted Performance as the touchstone and innovation as its tenet, new ways were created to engineer, design, build and produce an iconic, exotic sports car. 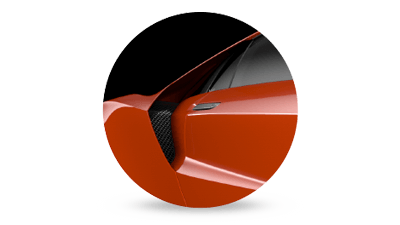 The culture of forward-thinking and the goal of building a pinnacle supercar merged to allow innovation as a natural phenomenon, resulting in several world-first technologies in the car itself and its manufacturing processes. A useful lens for examining NSX is the principle of Interwoven Dynamics; it’s the theme of balanced integration found in every aspect of the car. It reveres its past, but is imminently future-forward; equally at home on open roads and on the track; unabashedly beautiful and meticulously engineered. 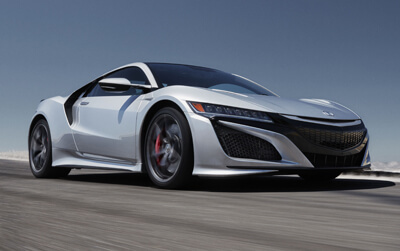 Ultimately, it’s a New Sports eXperience that can only be called NSX. Engineering is an art. Equal parts rational and emotional, sports car engineering is at its best when the tension between these sides results in harmony. 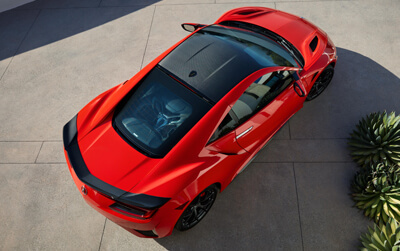 Such was the vision for NSX: power and beauty, precision and nuance, interwoven such that the car itself becomes both a machine and an experience. 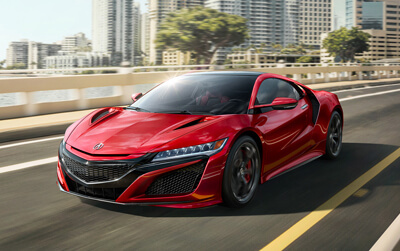 NSX Sports Hybrid Power Unit: Precisely engineered to produce 573-hp, 476 lb-ft of torque and a top speed of 191 MPH. Dynamics begins with physics and imagination, building and testing new ideas while subjecting conventional wisdom to skeptical reexamination. 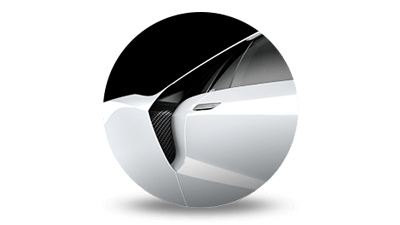 Motion, mass and geometry are applied through a lens of innovation, fine-tuned such that inventiveness and proven principles come to coexist for an unequaled driving experience. It's the first of its kind. 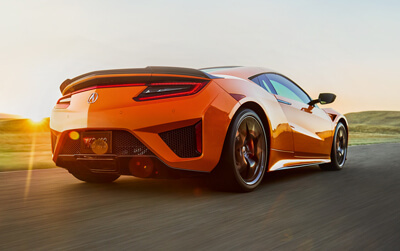 NSX is the first supercar powered by a bespoke Sport Hybrid Super Handling All-Wheel Drive, 573-hp power unit that is an absolute game-changer. 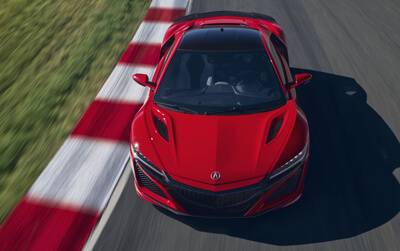 NSX Engine power and direct electric torque combine for a new kind of dynamic performance, not just in acceleration, but in steering and braking too. This is interwoven dynamics in the purest sense: exhilarating performance powered by precision. It growls and you're gone. Speed, power and amazing ingenuity live inside this clever beast: a mid-mounted twin-turbocharged, 75-degree, 3.5-liter DOHC V-6 engine with dry sump lubrication. It’s the product of countless days and nights of relentless engineering, perfected on the track. NSX is more than one supercar. 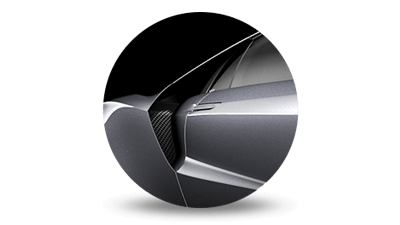 Its dynamic range flexes to reflect its driver’s mood, responding to every input with absolute fidelity. Weekend touring or competitive tracking, commuting or negotiating a mountain pass, it adapts and supports and partners with its driver. That purity of dynamic response extends beyond motion to emotion: the love of driving, with utter confidence. 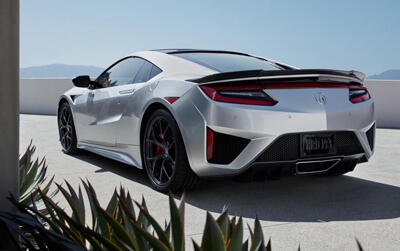 In its exterior design, NSX presents purity of form in graceful lines weaving through aggressively sculpted planes. Elegant design language creates intriguing contrasts from every angle; what appears as a singular striking shape reveals purposeful detail. There was one unassailable design rule: Every aspect of the car must serve a purpose. 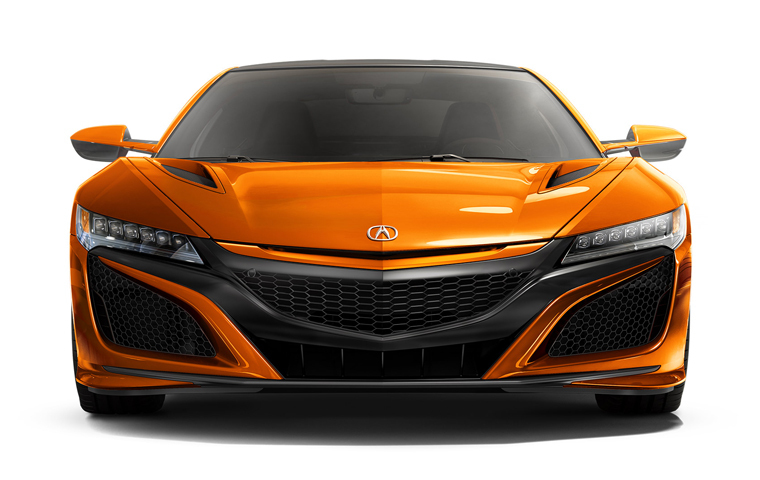 So while NSX aesthetics are unmistakable, they’re not simply a matter of allure. 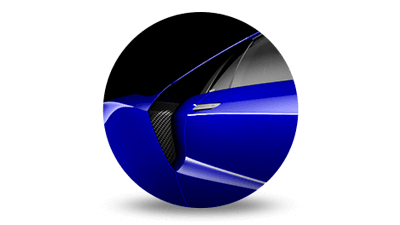 Every character line, body panel, shape and crease; every air flow intake and outlet; every proportion and ratio is optimized to support its dynamic performance. Simplicity of form and elements essential to the space form the foundation of NSX cockpit design. 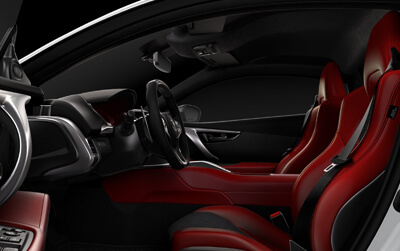 Minimalist in its aesthetic and spacious in its dimensions, the NSX interior was precisely engineered to create a richly supportive domain for the driver–even those whose height is in the 95th percentile. The aggressively-shaped bolsters are smooth leather for ease of ingress/egress. Alcantara® is at the center of the sports seats to provide grip and reduce lateral movement. Key interior surfaces are ergonomically padded to support knees and elbows, providing additional supercar comfort and stability. The process of assembling each NSX is unique, a seamless collaboration of technology and human touch. 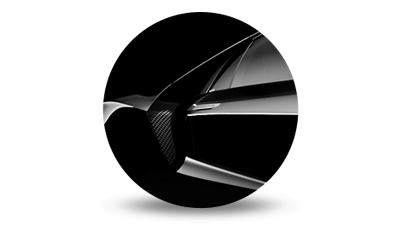 From MIG-welding the bespoke multi-material space frame to final fit and finish, this is a wholly new approach to automobile production: unequalled innovation guided by masters of the craft. 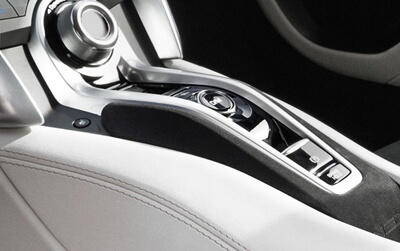 Precision comes from human touch and high technology. While paint cures and undergoes inspection, assembly continues on the rest of the car: power unit components, chassis parts, seats, interior finishes and controls. Throughout NSX assembly, screws are hand-started, then tightened with digitally-connected wrenches to ensure exact torque. The painted exterior panels are attached last to protect the finish.